3.6 What is the Result of These Observations? As someone who founded a transpersonal school of consciousness 10 years ago, I welcome an open dialogue concerning the role of the spiritual teacher. I believe that we have come to a stage where spiritual paths and their respective teachers are called to face totally new guiding principles. A contemporary spirituality should be enlightened and possess integrity. Being enlightened in this context means that magical concepts (=pre-personal) are no longer supported and that the respective spirituality has been freed of rigid dogma and culturally influenced beliefs and rituals. A contemporary spiritual community should not represent an authoritarian structure and should not foster a personality cult. Democratic aspects seem much more appropriate and up-to-date. This means that the teacher can be questioned and criticized. Diverging views are encouraged. The gap between the student and teacher is not so insurmountable and in general students should be more empowered. Therefore, I support the basic assertions presented in the position paper completely with only very few reservations and additions. It makes sense that teachers are aware of their limits, acknowledge them and practice transparency with their students. But the difficulty comes from what you don’t see. I may not be aware of some of my limits and that’s exactly the problem and where my limitation lies. Therefore, this can be a requirement for teachers, but at the same time it is necessary to be aware of the fact that this requirement will often not be met, however more out of unawareness than bad intention. The idea that spiritual teachers have to be more advanced than their students is also an assumption that I do not totally share. In my view, being a teacher requires other skills than being a person who “just” follows their own spiritual realization. Just because someone is spiritually enlightened does not automatically make him a good teacher. To put it another way: a swimming teacher does not have to be a world champion swimmer. Of course, he should be able to swim, but I question whether he has to posses the highest achievement in swimming and therefore be automatically further advanced than his students. I am of the opinion that too little attention has been paid to the differentiation between the roles and their respective demands throughout this entire discussion. However, I would personally prefer the new contemporary term “spiritual mentor” to define the role of a teacher. This term is not so strongly identified with the image of a person who is well informed and knows more than his students but defines someone who is supportive and able to accompany the student. In addition, the term “mentor” contains the word “mens” which means mind, which is also quite appropriate. Concerning the requirement for the teacher to disclose their experiences and realizations as openly as possible, I feel that this is necessary to a certain extent and appropriate for this time on the one hand. First of all, this expectation puts teachers under pressure to create an image of themselves. If they are continually under the scrutiny of the public eye, then the same thing will happen that often happens to our politicians. Based on the pronounced media culture in which we live, they are forced to build up a public image. This often does not match that of the private person. Teachers who stand in the public arena must also be able to accept and respond to transferences that often occur with students in a clear and competent way. We should not assume that the public role of a teacher can be equated with his private life sphere. Of course, it would be desirable for teachers to possess such integrity as to also behave in private in a mature and ethical way. But in my opinion, this cannot be guaranteed no matter how much attention they receive from the media. The second difficulty of over-emphasizing transparency to the outside world is that the teacher becomes the center of attention in a new way. I believe that it is in accordance with a contemporary, enlightened spirituality for the teacher to be more in the background. In earlier times the teacher, master or Guru was often the focus of attention within a particular path and was the center of attention for the students. Now, however, it would be more appropriate if the students were not so much concerned with the teacher and his maturity and/or weaknesses but rather more with his inner path. Far too often the teacher, with his own narcissistic tendencies, is in the foreground and has lost sight of the main objective and does not serve with humility. For teachers with narcissistic tendencies, the demand for extensive openness would open the floodgates for an even more elaborate self-portrayal. I do not consider this to serve the cause in any way. In general, I think it is important to redefine the role of a teacher and for teachers to become more transparent for their students. However, in a new contemporary spirituality one should not only be concerned with just the role of the teacher but also in strengthening the role of the student. I give some suggestions in this respect in my article “Teachers are Human Too”. 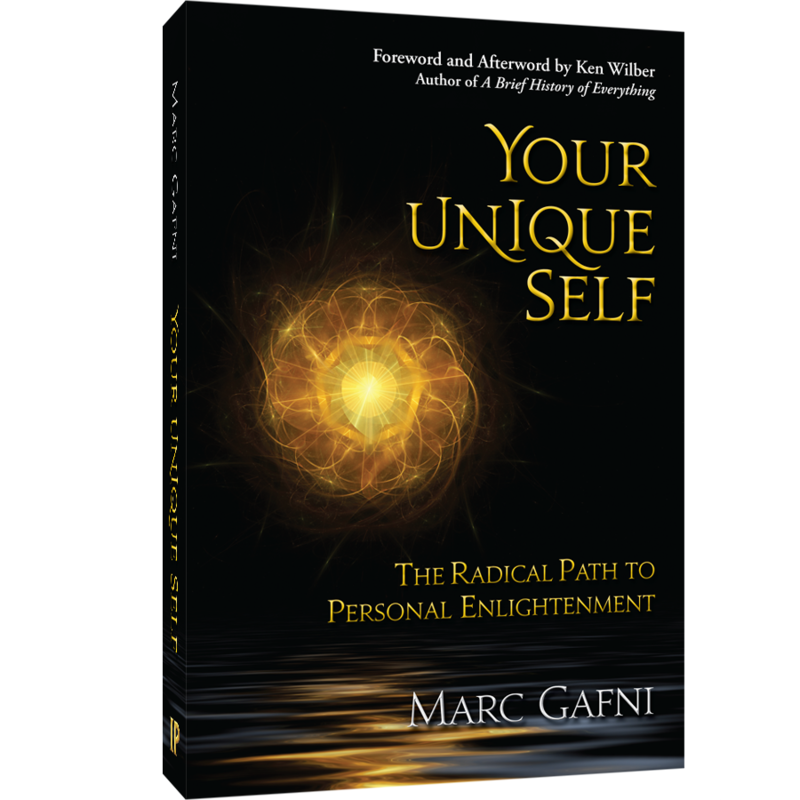 Many students are not aware of the fact that just because somebody has deep access to the transpersonal space does not necessarily mean he is also a fully integrated personality. This should be openly discussed in spiritual communities. In this way students can also be strengthened in their roles which leads to an effective protection against power abuse by teachers. Ken Wilber, who is aware of this fact and has drawn attention to it in his writings, has certainly made a great contribution in this respect. I’ve been active in spiritual communities as a member for more than 25 years and have taught transpersonal process work myself for several years now. During this time I also helped in the development of a spiritual community. I guess that means it’s high time to think about the role of a spiritual teacher and talk about it publicly so that awareness can be increased concerning this role and its problems. Whoever has an eye on communities and teachers will note that there is a variety of problems linked to this role. Reports of teacher’s abusing their roles for their own purposes are not seldom. These are reports about teachers not acting the way they teach. Repeatedly students are humiliated; even subtle and sometimes open violence occurs. The teacher often has such a dominance that the conclusion could be drawn that it’s not the growth of the student within spiritual communities that is of major concern but rather the teacher and his views. However, it is important to note that the teacher really is the center of gravity in a spiritual community. Usually a community is founded by a teacher and everything somehow leads to him in one way or another. The exterior framework, the atmosphere, the belief structures and community values as well as the spiritual practice and inspiration are primarily influenced by the teacher himself. If the teacher retires, the community usually disperses or often disbands. This can be compared to the role of parents within a family as long as the children are young. Parents create and control the system. In most families, however, there are usually two parents and no one partner dominates. On the other hand, there is only one leader in most spiritual communities which makes this role more exclusive and highlights the power belonging to it. Therefore, it is a good idea to take a closer look at this role and investigate why unethical behavior is so often an issue amongst spiritual teachers that causes students or communities suffer. Unethical behavior of spiritual teachers is even more serious because they actually claim a high degree of ethical and spiritual realization for themselves. First of all, we will therefore take a look at the outdated role as it is now understood, expand this in the next step and finally redefine it in a new and enlightened way. First it is important to examine what is typically associated with the concept “spiritual teacher” and what unconscious associations shape our own view and behavior more than we generally believe. In Eastern traditions the spiritual teacher is the guru or master. A guru leads us from darkness (= gu) into light (= ru). He therefore guides us and shows the way. He has experienced or attained something that students are longing for. The master now shows them the way to that realization. For that reason the teacher traditionally receives the highest reverence. He is the most central person showing us the way and is often even worshipped. A picture of the master can often be found on an altar. Even if the basic idea for personal reverence is to worship the realization through the master and to focus on it (= guru yoga), a differentiation is usually not made between the teacher and the realization itself. So the role of the teacher in a spiritual community often develops into an unexamined and unquestioned dominance. Within this context, the typical practice in some Buddhist traditions where the teacher confirms and finally empowers his students in their development, seems quite critical. Even if the intention of this practice can be understood as a form of quality assurance, it cements the teacher’s position of power with all its negative consequences. The role of a spiritual figure in the West was also exaggerated and defined by claims with respect to knowledge and interpretation for centuries. Parish priests, bishops, monks and nuns were held and even today are still held in high esteem. A closer view, however, reveals a cultural conditioning that developed over many centuries. Such men – in this case there were only men – claimed the interpretive sovereignty of the Bible and in this position of power they stood over worldly rulers and secularization. Even the emperor had to be crowned by the pope. A remnant of such claims regarding interpretation can still be found in the Catholic Church today. The pope claims infallibility with respect to questions of faith. Even though this principle of infallibility is almost never used, just the possibility alone has a deep symbolic effect. In addition, the liturgical vestments symbolically underline the special position of a man of the church even today. Of course, much has happened since then through secularization and the Renaissance. The power and position of the religious leaders in the East and the West have decreased dramatically. Nonetheless, these roles lie within our souls as archetypes and are passed on to spiritual teachers. Teachers often have the impression (mostly unconsciously) that they must fulfill the ideal of an awakened person who knows it all and stands above all others. At the same time, students perpetuate this image and high expectations of the teacher. Both students and teachers confirm each other in these roles unconsciously. They become caught in a positive feedback loop that can exist without further examination for a long period of time. In addition to the outdated roles that we have culturally assimilated and internalized, there exists another inner dynamic that is always a part of the student/teacher relationship, i.e. the phenomenon of idealization. This dynamic has a strong influence on the student/teacher relationship. Without understanding this we will neither see the chances nor the difficulties that this relational dynamic presents. Deep within themselves many people feel the longing for a better life and understanding. This longing is quite natural and serves as a powerful motor to drive development and follow a path in whatever form. Feeding this longing is a central force that is required to follow any spiritual path. Hand in hand with this longing, we also develop an idea of what is desirable. In our search we usually unconsciously begin to idealize values, things, experiences and even other individuals. Idealized images of what we are longing for begin to develop and embody for us that which we see as true and good. But an idealization is something more basic than just longing. It is a fixed image in which we believe we can find the quality we are looking for. Longing is something dynamic and can leave space for the varied expressions of life. An idealization, however, is a fixation, and as such limits and excludes. Only this ideal is right and everything else seems to be wrong. That’s why the step from idealization to fundamentalism is so small. The enthusiasm and appreciation experienced in idealization can quickly turn into the idea that everything that doesn’t fit has to be pushed aside or eradicated. This does not happen because we are or want to be evil, but because we believe in the true and the good. German history alone shows the inhumanity that can result from a false idealization such as in National Socialism. Hitler took advantage of the ideals of people and succeeded in forming a large movement. This example shows very clearly that ideals only seem good and right from a certain context. From today’s point of view, those ideals of the 3rd Reich were every thing else but desirable. By looking now at the dynamics of idealization within spiritual communities, we can recognize a high degree of idealization especially in these areas. In a spiritual context, the longing for healing, the good and the true often result in idealism coming to the fore. Of course these ideals differ from one community to another depending on that which is valued in their different contexts. These ideals are now transferred to the leading figure. He is the embodiment of the ideal and the students seek to satisfy their longing in the form of the teacher. This dynamic is often a great temptation for the leading figure to fulfill this ideal on the outside and yet to hide his true self and human imperfections on the inside. But students also want to see their ideal incorporated in the leading figure. As long as the leading figure fulfills this desire, every student can believe that it is possible to achieve this ideal. So this perfect image of the teacher is often vehemently defended and all human weaknesses of the teacher denied. This is the only way to understand, perhaps, that some students put up with degrading treatment from their teachers that they otherwise would never accept from anyone else. This dynamic of idealization within a spiritual community often results in students transferring reverence and authority to the leading figure in an inappropriate way. If a particular teacher himself is not free when it comes to these qualities, then the danger of unconsciously abusing his role becomes much greater. The same dynamic can be found between children and parents. Children look for the ideal in their parents and respect it. Parents seem to show absolute strength and goodness. This ideal provides the children with safety and stability which they will vigorously defend to prevent a breakdown of the inner self and their own inner structure. A comparable danger of parental abuse and care lies within the relationship between parents and children because the same authority and worthiness is often transferred to them in an unsuitable context. Parents mean absolutely everything to the child. And again: If parents don’t have enough maturity, the temptation of inappropriate treatment of the child is enormous. From our own experience and many reports from others, we are aware of the fact the parental authority is often misguided and abused. Although students in spiritual communities are mature and a certain degree of independence can be expected, the basic dynamics of idealization are still at work. Often the ideal that might not have been fulfilled by the parents will be transferred to the teacher with the unconscious hope that this time it will work. Even adults can unconsciously go through a similar psychological dependency, not only children. This only increases the danger of new abuse. Students aren’t the only ones who idealize their teachers. Teachers themselves can fall prey to idealizing themselves which can cause major problems concerning their role. A role that has been awarded with so much high esteem and authority of course has a great attraction for people that like to stand in the spotlight. That’s why people with narcissistic propensities are often found in the role of a teacher. This role promises everything that we have been looking for, i.e. attention, esteem, and authority. Everything seems to orbit around the teacher. Of course everyone has a certain longing for attention, esteem and authority. It’s therefore understandable that these factors have an influence on the teacher and his ego. Suddenly, in this role you experience acceptance and approval within a community that honors and respects you. This is tremendously ego nourishing and the larger the community, the larger the effect on the teacher’s ego. This can often happen after an initial period of humility. Some teachers start to idealize themselves and believe in their own grandiosity that is given to them by others. They begin to believe that really are something special and act accordingly. If a teacher is not aware of this risk and is not in a “normal” relationship that keeps him on the ground, then the temptation is very great to fall into the trap of assuming his own “greatness”. It is important to note that the greater the idealization, the greater the shadow. If I idealize myself, I have to hide all those inner instances from myself and others that don’t fit into this image. These hidden elements can appear at any time and have a destructive influence on relationships. This is even more severe for a teacher in a student/teacher relationship than with two people on an equal basis. The student is in an inferior position and abuse can easily occur. Another effect of idealization is that the teacher tends to puts himself in the foreground instead of the content of what he is teaching. The teacher is usually in service of a message that he is teaching and consequentially the students he teaches. A mature teacher will put this message in the foreground and keep himself in the background. But once an individual has begun to identify with the virtual significance of the role, the relation between content and person is turned around and the focus is more and more on the person not the message. This exchange of person for content can be seen on book covers and posters that advertise a large portrait and the title in small print. In other words: A teacher is always endangered by his own narcissism but this can be found more or less in every individual. Only when an individual is aware of these tendencies and is ready to confront and own his own shadow, then the urge to ignore these tendencies becomes less and less. In addition, cultivating “normal” relationships with partners and friends serves as a natural protection against idealization. To switch roles from time to time and become a student is also sobering for those with fantasies of greatness and thus supports and encourages healthy relationships. In the meantime, it should have become clear that spiritual teachers, in spite of their role and their intensive self-development, are as imperfect as anyone else. Naturally we wish to have perfect teachers we can believe in. That give us courage and hope for our inner journey. They should be an example for us and be more advanced in their development than we are. This allows them to help us find meaning in our own path. But sometimes we can’t (and don’t want to) accept the fact that teachers aren’t perfect in every way either. The idea of a perfect teacher still exists in many spiritual traditions, i.e. a teacher who is not allowed to teach until he has practiced for a long time and attained certain spiritual insights. This too keeps the idea of a perfect teacher alive by assuming that this enlightened teacher has completed his development and has automatically achieved the ability to be a good teacher. Unfortunately, these traditions ignore the fact that a deeply realized spiritual being is not necessarily the same as a mature and integrated personality. We can deeply delve into experiences of BEING and Emptiness. However, this may not automatically lead to a transformation concerning the ego and shadow elements. This is sobering on the one hand, but at the same time helps explain why someone who is enlightened can also behave immaturely. In other words: A spiritual teacher is and will always remain human. Even if he has a long journey of awakening behind him, this does not make him perfect and therefore infallible. Again, this is a sobering fact, but once this is digested, it will improve and enhance the student/teacher relationship and their interaction with one another. Teachers can once again show themselves as they really are. They can be themselves and don’t have to hide their human failings. This has a relaxing effect to both sides. The relationship becomes more equal and real. Students can also show their humanness and be accepted with all their imperfections. Now they have the opportunity evaluate the teachings and actions of the teacher as realistically as possible and accept for themselves what they see as appropriate. The relationship becomes freer and more relaxed. A student can reject certain sides of the teacher that may be immature and yet still not reject the teacher as a whole. In general, it is important for students to judge a teacher not only by what he teaches but how he acts. This doesn’t just mean the congruence of word and action but also concerns the values represented by the teacher. Do these values say “yes” to life? Do they serve all humans, all sentient beings and the entire creation itself? Do they discriminate against others and their opinions? These and similar questions may not be regarded as a taboo. Students should frequently ask them in order to avoid an idealizng the wrong values. What is the Result of These Observations? Whatever new understanding of roles that comes out of this discussion between the relationship between students and teachers, it is important to recognize that the basic dynamics of this relationship will continue to exist. For example, students will continue to transfer their ideals to the teacher. However, only a clear understanding of the dynamics at work here will enable us to consciously work on a new understanding of the roles where ideally the teaching role will be seen more realistically and not so absolute and students can be more empowered allowing responsible inner development. This new emphasis on the responsibility of the student can lead to more freedom in the relationship between teachers and students and decrease the danger of abuse. At the same time, the personal competence of the student is strengthened which is the main goal of teaching anyway. Which way should the path lead, if not to personal competence and student independence? The following thoughts could be helpful for teachers to support this personal competence. The main responsibility lies with the teachers as they can’t expect the students to be aware of the dynamics at work. The teacher could specifically work with the topic of idealization and help students become aware of this dynamic. It would involve separating the ideal from the person thus opening a way for students to become aware of their own original longing that slumbers within and how it effects the relationship. In general, the teacher could clarify the danger of idealizing values and persons and encourage students to continually look at this issue. The teacher could include shadow work as an integral part of the spiritual path revealing the role of idealization in this context. This is of course not so easy for the student but much better than any form of idealization and would finally lead to greater freedom. Teachers could encourage students to trust their own judgment more and show this by accepting or supporting divergent opinions within the group. The teacher should make efforts to be natural and fair in his involvement with others. This includes transparency when it comes to admitting failures and human weaknesses to himself and others. He can become a role model for others by revealing his own inner development and self-acceptance. Transparency with respect to personal development and shadow work that has been done is certainly a general contribution that makes it easier for students to evaluate the teacher and his teaching. A teacher should never evade honest questions as is often done, but answer them as authentically as possible. Not doing this could lead to seeing the teacher in a light that is not realistic. The issue is really to evaluate how much transparency will serve the student when it comes to their own responsibility. This should not change anything with respect to the principle that it is not about the teacher but about the spiritual content and the students themselves. Finally, I propose that the word “spiritual teacher” be renamed for “nomen est omen” and the outdated and deep-seated associations with “spiritual teacher” have already been discussed. My suggestion is to replace the word “teacher” with “mentor”. Teacher for some is associated with authority, the one who knows and dictates which way to go. With the term “mentor” we think of a person who accompanies and supports others along their way. This reflects an association that does not support the negative sides of the teacher role. Democracy has also arrived in many spiritual communities even if it collides with an outdated understanding of the role. In the long-term it is probably not possible to avoid a new understanding of the teaching role in some way but this can also encourage students and teachers to examine their roles together. Developing a new understanding of these roles is surely an adventure for both parties involved. New role models well emerge in the process of looking for and re-defining them. I hope this article encourages others to get involved in this adventure.